Social influence is making an even greater impression on brands these days than pageviews. Having a large Twitter account is very attractive to advertisers since by pure statistics, the larger your account, the more interaction you have. You can also foster interaction on your account by keeping your Twitter account healthy (i.e. be sure you don't follow people who are inactive, or spammers), and regularly sharing engaging content on topics your followers enjoy. Twitter is one thing I wish I would have learned earlier, as it takes time to grow a large healthy account. I've been concentrating on it in the last month and have grown my account 138% in just 20 days, but thinking of all the time I lost and of how big an influence I could have had by now… almost makes me ill. But, let's not concentrate on that – moving onward! Tweriod helps you know what time of day your followers are online and likely to see and engage with your tweets. This is very helpful when planning your tweet schedule. I use Hootsuite Pro for the bulk upload feature. We provide our Blog Connection Members have free access to a time-saving template for Hootesuite Pro where you can easily upload several tweets per day for an entire month. The free manual scheduler on Hootsuite or Twitter works but takes much longer to schedule the same number of tweets. Hootsuite also has limited tracking for links you schedule, but the downside is that you cannot bulk upload photos to post with the tweets. Since Twitter does not tell you who you are following that are inactive or spam accounts, Manage Flitter will tell you that, so you can unfollow them and keep your account healthy. You can also use it to unfollow those who do not follow you back within a certain time frame. The gurus recommend that you follow someone at least 7 days before unfollowing so that your account does not appear spammy. Want to learn how to use it to the max? This ebook by Nathan Engels is a quick read and worth the investment. The Crowdfire App allows you to monitor Twitter and Instagram accounts, much like Manage Flitter, but on your phone. It will also tell you who unfollowed you, and allow you to search by people or by hashtag to follow those interested in your niche. Some worry about it autoposting and becoming annoying – it will auto reply with a thank you to new followers, but you have to set it up to do that. I grew my account considerably using their free account just by unfollowing/following 30-100 people per day. The free account at Tweet Reach lets you search and track engagement and impressions for the last 100 tweets of the hashtag or account you search. It also shows you the tweets and accounts most active for that search and search period. Very helpful for building reports and tracking campaigns. The paid version offers even more insights. Below is a snapshot for the hashtag #comoblog during one of our recent Monday night Twitter Parties. Ever wanted to see which hashtags your heroes are using on Twitter? Twitonomy will tell you. This is a really fun one to research on when you want your tweets seen by a certain audience. 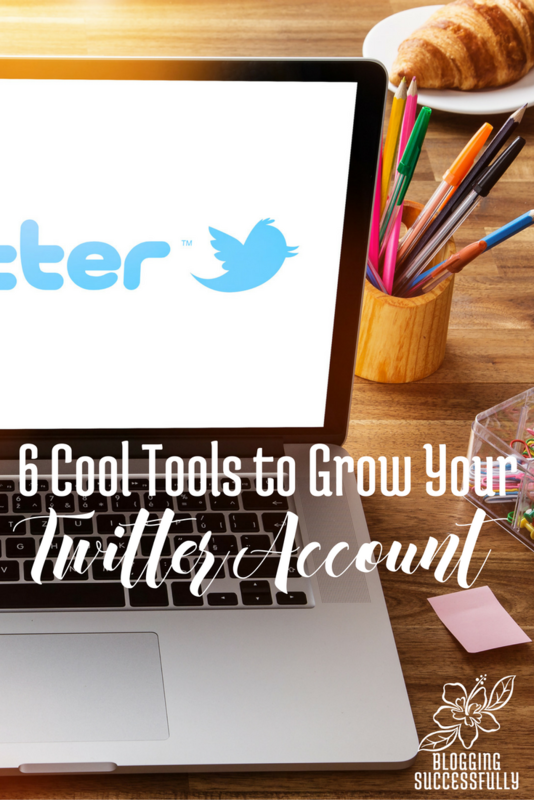 All of these have played a part in the tremendous growth of my own Twitter account over the last few weeks, and I know that as you learn to use them they will benefit you as well. Be sure you are signed up for my newsletter for more great tips and tools for online success and watch for our next post on maximizing your Instagram presence. Most days you’ll find Katie Hornor answering client emails or working on her next book in the front room coffee shop of their 250 year old home in tropical Mexico. She’s an author, speaker, curriculum developer, Christian homeschool Mom of 5, and the #RelationshipMarketing brain behind Blogging Successfully and TheBlogConnection.com helping women entrepreneurs reach more people and make more money. Be sure to stop by our courses page for one of Katie's FREE blogging courses!